Ace Cash Express operates as a direct lender provides access to payday loans in California, licensed by the Department of Business Oversight. Example APR :- 459.90%* (Calculated on 14-day term.) The actual APR may vary on the loan term and amount. Loan Term :- 14 to 30 days. Check Into Cash is a direct payday lender in California, licensed by the Department of Business Oversight pursuant to the California Deferred Deposit Transaction Law. Example APR :- 460.08 %* (Calculated on 14 day term.) APR may vary on the loan amount and term. 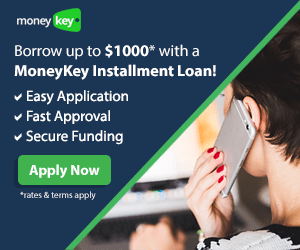 MoneyKey operates as a direct payday loan lender in California, licensed by the Department of Business Oversight under California Deferred Deposit Transaction Law. Example APR :- 459.88%* for $255 loan calculated on 30 day loan term. (APR) varies on the loan amount and duration. 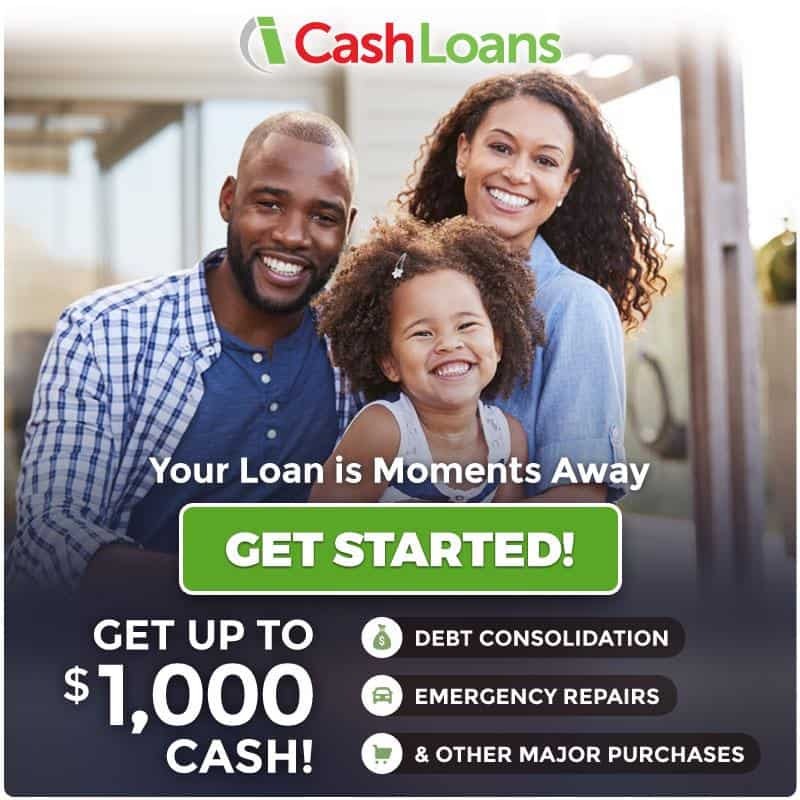 iCashLoans.com is a lender connection service provides access to short term payday loans online in California through a large network of partnered lenders and financial service providers. 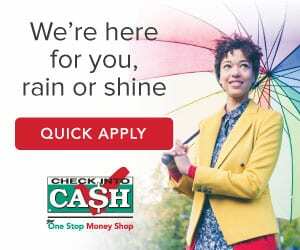 CashAdvance.com is a lender connecting service offers access to payday loans online in California through a large network of lenders or financial service providers. CashNetUSA is a direct payday loan lender, licensed by the Commissioner of Business Oversight in California. Example APR :- 459.90%* (Calculated on 14-day term.) APR varies depneding on the loan amount and duration. Cash Central operates as a state licensed lender in California offers access to payday loans, licensed by the Department of Business Oversight. Example APR :- 459.88%* (Calculation based on 14-day term.) The actual APR varies on the loan duration and amount. Loan Term :- 4 to 31 days. Check n Go is a direct lender for payday loans in California, licensed by Department of Business Oversight under the California Deferred Deposit Transaction Law. Example APR :- 460.08 %* for $255 Loan (Calculated on 14 day term.) APR may vary on the loan amount and term. 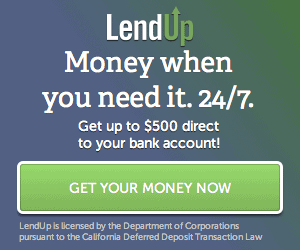 LendUp is a licensed direct lender by the Department of Business Oversight in California. Example APR :- 396.29%* for a $200 loan (Calculated on 14-day term.) APR varies depending on the loan term and loan amount. Loan Term :- 7 to 30 days. California payday loans or cash advances are a suitable and safe method to let you stretch your buying power and help you cover unforeseen expenses. Whether you want to take care of seasonal expenses like holiday bills, or need quick cash for your kid’s school expenses, or you want help with repairs or unexpected bills, California payday loans will always help out. California payday loans are offered in smaller amounts and are short-term in nature; this financing option is not meant to be used for long term. They are a convenient way for covering unplanned expenses. In California, many lending institutions offer payday loan services, online and at storefronts. A lot of these companies have made it quick and simple to get the cash you need when you want it. Whether you’re borrowing online or at any of the lending institutions retail location, you will always experience the entire process stress-free when it comes to payday loans. However, do not forget to do your due diligence on the lender you’re getting a cash advance from. Find out if the lender is legally licensed to operate and lend in California. Make sure you understand their finance charges, and also you can read up other customer reviews about the company before getting a loan from them. How much amount can California payday loans offer? Payday loans range from $100 to $1,000; however, this could vary from one state to another. The qualification criteria for obtaining a payday loan is generally less rigorous, compared to other traditional loan methods available. In exchange for the cash, you will be charged a fee for obtaining the loan. The finance charge together with the initial sum borrowed is usually due on the next payday. These means you’re supposed to repay the amount borrowed plus the additional loan fee once you receive your next paycheck. According to the current laws implemented on payday loans in the state of California. The state law limits the amount to a maximum of $300. Licensed payday loan lenders cannot offer loans higher than the restricted amount in California. How to apply for a payday loan in California? There are two ways to request a payday loan in California, in-person store visit or by using the online application. Applying for a payday loan is fast and simple, and needs minimal documentations. In-store Application: – Recent research has revealed, California the 2nd state with the highest number of payday lending stores. You can quickly locate a storefront in California offering payday advance; they are at every corner of the streets. If you’re planning a visit to the closest retail location for a direct lender to get a cash advance in-person, be sure you carry the following documents, two state issued ID, income proof, checkbook, latest checking account statement, social security number. When you fill out a quick application at a store and submit the necessary documents. A quick review of your application will be conducted, and you will receive the decision on your loan in few minutes. The entire process may not take more than 30 minutes. Approval of your loan depends on meeting legal and underwriting requirements. If approved, you’ll be provided the loan contract, review the fees and APR, understand the terms & conditions thoroughly before you sign the agreement. The last step is to write a check for the amount borrowed plus fees and walk out from the store with cash on the spot. To repay the loan, return to the same store on the agreed due date. 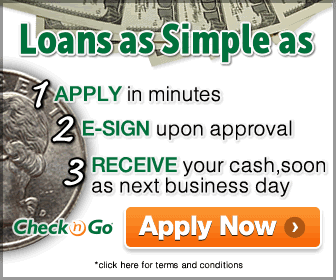 Online Application: – The online application is the quickest and secure way to apply for a payday loan. The application process with the majority of direct payday lenders is similar or may vary slightly. All you have to do is fill the online application form by using a computer or a smartphone, without worrying about your personal information. Almost all payday lending companies use secure sockets layer encryption technology to keep the transactions and your personal information safe. Before you start filling the web-based form, ensure you have the following information handy your social security number, the source of income, and banking information. After submitting the application, an instant decision on your loan will be revealed on the lender’s website. Once you’re approved for a payday loan, the lender deposits the money electronically into your bank account as soon as next business day through ACH. Similarly, the lender will electronically take the money from your bank account on the due date. Eligibility requirements for payday loans in California. Employed or stable source of income. Active checking or saving account. The applicant must be 18 yrs or above is standard in most states, same goes with California. APR on Payday Loans in California. Annual percentage rate is the actual cost of the loan to the borrower consists of all charges and fees, which is calculated on a yearly basis. To calculate APR on a payday loan in California, you need three pieces of information, the amount loaned, fees, and the term. California law requires payday lenders to inform borrowers the loan fee in the form of annual percentage rate; this information should be explicitly mentioned on the site, storefronts and in the agreement. The law further imposes a limit on the permitted fees to 15 percent of the amount advanced, which is equivalent to an APR of 460% for a two-week loan. Example Fees Chart for California Payday Loans. Under the present laws, payday lending is legal in the State of California. The payday lending license is issued by the Dept. of Business Oversight under California Deferred Deposit Transaction Law. All payday lenders, conducting business through a storefront or online, should obtain a proper license from the Department of Business Oversight before carrying out any transactions for payday loans in California. It is mandatory for lenders, to display the copy of the license, fee schedule and APR at all the storefronts as well as on the site. To safeguard consumers from exorbitant fees charged by payday lenders. California law restricts the maximum finance charge to 15% on the sum borrowed or up to $45. The law also limits the maximum amount of loan a consumer can borrow, which cannot exceed $300. For example, an individual who qualifies for $300 advance will only take home $255 if the 15 percent maximum fee is applied to the amount advanced. Which means the borrower would write a check for $300, for the agreed repayment date. The repayment term of a payday loan should not last longer than 31 days. By law, payday lenders cannot make new loans to consumers who have an outstanding on their existing loan or to pay off the existing loan. The state law does not permit rollover on payday loans in California. In case, if your repayment check returns due to inadequate funds, one bounced check fee up to $15 can be charged by the lender. Be aware; an additional fee will be assessed to your account for insufficient funds by the bank. A payday lender cannot threaten you with criminal proceedings if your check bounces. Customers struggling to repay their loan can request the lender for a payment plan. However, it’s up to the lender, whether to deny or grant the request. Payday lenders cannot charge any additional fee if the demand for a payment plan is accepted. To maintain transparency, a copy of the payday loan agreement should be furnished to the borrower in the primary language used to complete the loan process, or in the language preferred by the borrower. For registering complaints online Click Here.